Great night for European Rink Hockey with an outstanding matches in Euroleague. In Ws Europe Cup no surprise: all the winners of the 1st leg confirmed their qualification to quartersfinals. An outstanding night for the Rink Hockey lovers: the four most important matches they did not disappoint, but now we have already two teams qualified to quartersfinals (all from Lisbon), Sporting Club de Portugal and Sporting Lisboa Benfica. Sporting won 6-4 against a strong Liceo in an amazing match, decided in the last minutes of the games with two goals of Gil and Pinto. 4 matches and 4 wins: nobody as them in this Euroleague. Instead Benfica tied 4-4 against Noia and reached six point of distance to the spanish team, the last team could take the qualification in group D. The italian teams of Forte and Monza will have the best chance to qualified too in their groups. In Group A outstanding victory of Barcelona in a packed PalauBlaugrana (3000 spectators the best crowd of the season): 7 to 6 the final results, resolved by a gol of Joao Rodrigues. Follonica won too against Quevert and now the two teams have the same points: next round in february will have the direct fight in Italy and Barcelona need a victory to assure the qualification in a complicate group. In Group C Porto and Lodi tied 1-1 in a full PalaCastellotti (1600 spectators): the portoguese team has best chance with 10 points to assure the qualification, instead the direct fight Reus-Lodi will decide who will not go to next round. In WS Europe Cup no surprise. 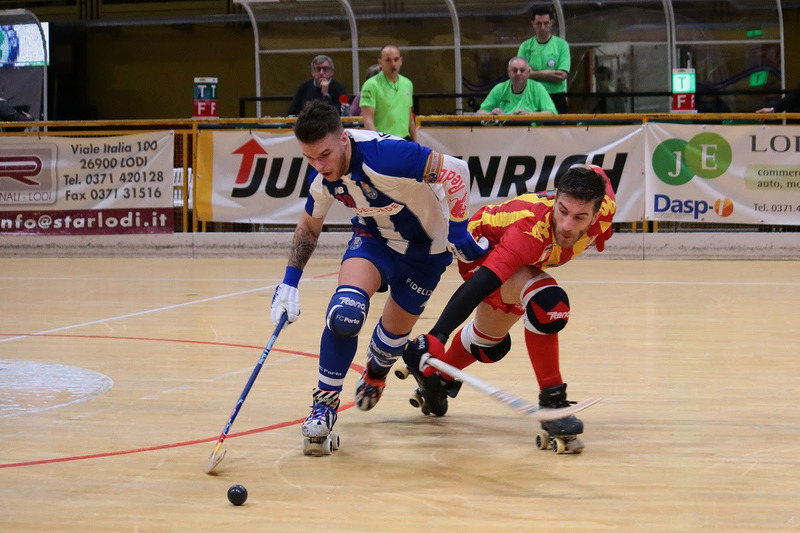 Igualada won in Diessbach and will play in quartersfinals against Sarzana, that lost 5-3 in the rink of Tomar but they didn’t compromised their qualification thanks to 1st leg. Voltregà has beaten Viana for 4-2 after the draw of the 1st leg 2-2: they will fight against Wolfurt that have win by subjudice in his 1/8 round. The title holder Lleida Llista won 6-5 against Girona and will fight in quarterfinal against the french team of Nantes. Nantes won in the penalty shots the french derby: beaten in regular times 5 to 3, they won with an unique gol in penalty shots after two overtimes tied. Last quartersfinal will be played from two italian teams: Viareggio and Valdagno. Viareggio tied 4-4 against Turquel, instead Valdagno won 9-6 to Biasca. 1st Leg 16th February, 2nd Leg 9th March.